FINANCIAL PLANNING STRATEGIES, INC. is a premier resource for individuals, families and business owners. We are organized, educated, and focused on helping each client attain, preserve, and protect their financial resources for their benefit, that of their family, and their community. This is done with a combination of analytical and practical elements of the financial planning process. We do what is right for our client. We strive to eliminate complexity. We emphasize the "big picture" among all the details. We respect our clients, our team members and our resource partners. Our friendly and competent staff includes Paraplanner Leanne W. Farman. 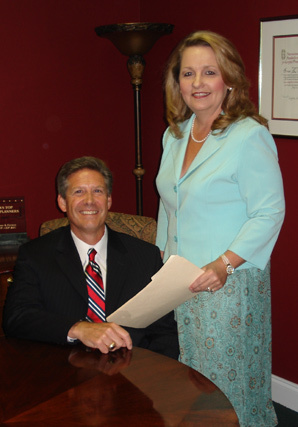 Our team is dedicated to serving the needs of our clients and their families. President Bruce R. Farman is affiliated with Lincoln Financial Advisors, a broker-dealer and registered investment advisor. This working relationship allows us to be a small firm within a large firm. We have all the services, support and resources needed to provide excellence in financial planning and investment advisory services that our clients deserve. We incorporate sophisticated modeling of the clients financial condition including various retirement planning scenarios, detailed analyses of the trial applications of advanced estate planning solutions and tax reduction strategies that will pave the way for critical decision making. The firm's resources at the national level are extensive and include the "National Design" team of tax, legal and estate planning attorneys* (*licensed, but not practicing). Our local relationships with many fine legal and tax professionals enable us to work hand in hand with our client's other advisors for a team approach. planning tools, a cutting edge development in the financial services profession.